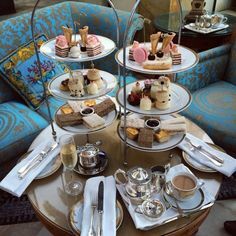 My goal at Tea Party Girl is to keep the focus on all the aspects of Afternoon Tea or The Tea Party. 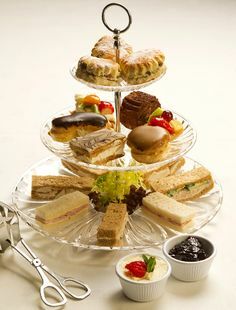 However, when I published the article on Steps to Creating Your Tea Party Menu, I talked about tea and food pairings. And since I believe that the tea is The Tea Party’s Most Important Ingredient, I want to provide some basic tea knowledge. 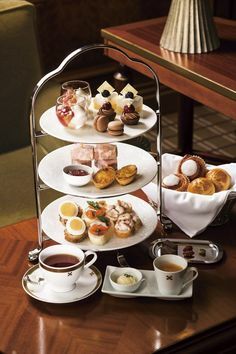 As I’ve mentioned before, there are many sites devoted to tea the beverage where you can go for more detailed information. 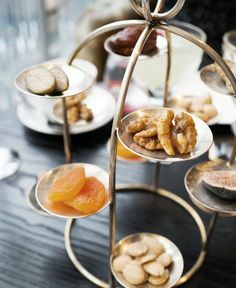 What type of tea do you reach for over and over again? Did I list it? Assam-Like wines, teas are often named based on where the tea is grown. In this case, Assam tea is a black tea grown in Assam, India. Assam tea is the base for many of the breakfast teas, i.e. English Breakfast. Assam tea will give you a bold, malty flavor. 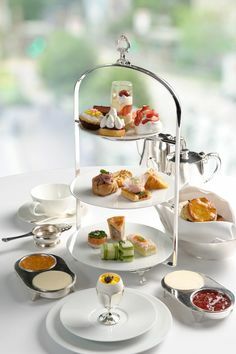 Ceylon-Ceylon tea is also named for where it is grown, Sri Lanka (previously the island of Ceylon). It is a black tea with a lighter, crisper taste than Assam. Darjeeling-Sometimes called the champagne of teas because it is coveted above other teas and often more expensive. It is grown in India. Its taste is fruity and spicy. Most Darjeeling teas are black teas. If a Darjeeling tea is described as a “first flush”, it is describing when in the year the tea is harvested, as this affects the taste. Green-If a tea is green, it has undergone less oxidation, the process of the tea plant chemically changing to yield a different result (black teas go through the most oxidation). Green tea has traditionally been popular in the East; however its popularity in the West increased radically when the health benefits of green tea were introduced during the last decade or two. Lapsang souchong-This tea grows in China and is pan-fried resulting in a smoky, earthy brew. This is reminiscent of the days when tea came from China to Europe over land. It gathered the flavor of the traders’ fires. It is one of the more bold flavors of black tea and has been said to be an acquired taste. Also said to be popular with men. Oolong-a tea that is less oxidized than black tea and more oxidized than green tea. It is mainly grown in China and Taiwan. Yunnan-Named after a China province, it is also called Dian hong tea. It is often used in tea blends. High quality Yunnan is identified based on the amount of leaf buds or golden tips of the tea plant present in the tea. These are harder to pick which is why their presence is valuable. This tea turns bitter quickly if over-brewed, but can handle multiple infusions (the leaves can be brewed more than once). Earl Grey-a tea named after a British Prime Minister from the 1800s. It is flavored with the oil of bergamot, a citrus fruit. White-Tea is classified as a white tea when it includes young-growth tea leaves AND buds, resulting in its pale color. Oxidation of the tea is stopped through steaming or frying the leaves. It’s more delicate, therefore more care is needed in its handling, and often fetches a higher price. It cannot handle boiling water and needs to be steeped at about 180 degrees. Dragon well-Also named Longjing tea and drank by emperors, Dragon well is a high quality green tea and China’s most renowned out of about 700 of their teas. It is hand-picked which can increase the cost and pan-fried providing a delicious chest-nutty flavor. I will add definitions of other teas as I add them to my articles. If I miss one, be sure to let me know! Excellent article – very helpful and informative. I look forward to your next one. The types/names of tea has always confused me. 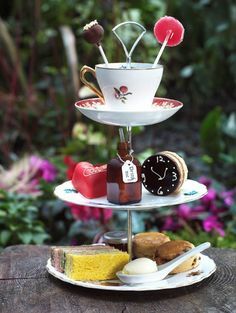 Hi, your blog is really niche and easy to remember whenever I need to plan a tea party. do you recommend instant tea (Lipton tea) or brewed tea or drinking coffee during tea party? I don’t quite have the equipment or the interest to brew my own tea when I want to invite friends over but somehow drinking instant tea seems a bit unparty-like. Any idea on that? Thanks, Doodah! I tried to keep the definitions clear and simple, glad to hear it was helpful. Thanks, Mei, for your visit! I recognize you from Blog Mastermind. I don’t recommend instant tea (or coffee) and brewing from loose-leaf tea is quite simple once you’re used to it. You can see my article on The Tea Party’s Most Important Ingredient for more info. I want to answer your next question in a post, thanks for it.